"Avail 5% GST Benefit from March 1st"
How Far is Mana Foliage? One of the prestigious projects placed in one of the localities which is surrounded in a peaceful environment of Off Sarjapur Road, Bangalore. Each living spaces comes with the spacious plan and ample space for ventilation to invite fresh air and light. Presenting Mana Foliage, a coveted green community living meant for those who want to return to nature. one of the plot development project of the builder developed in an approved layout with various Sq. Ft. ranges located in one of the bestselling localities. 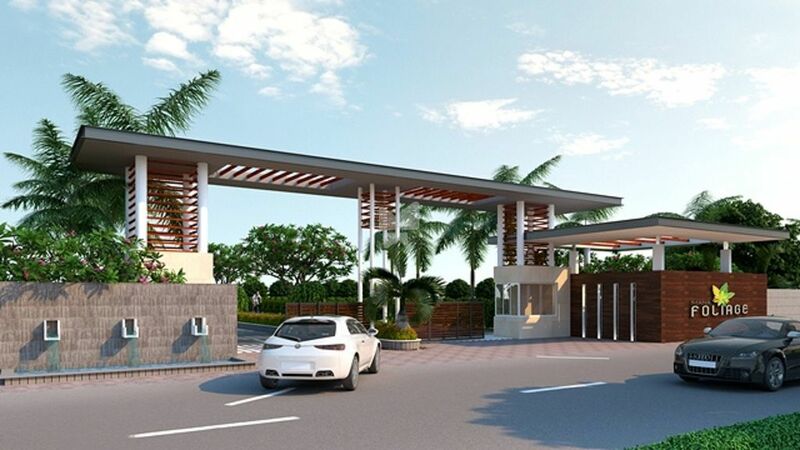 This project offers Plots for sale in off Sarjapur Road, Bangalore, its land area size varies from 1438 Sq ft to 2001 Sq ft.
Mana foliage located around the outer line of Sarjapur and exactly pinpointed in Off Sarjapur Road. The location offers affordable living as everything is available at your doorstep. Offering living spaces of various dimensions and providing amenities that are available in a luxury packed home. Fragrances to inhale from scented flowers on your own garden. Shades of ready-to-harvest fruit-laden trees to sit beneath and sip your morning cuppa. Awning green and crimson avenues to walk upon. serene water bodies and cozy pavilions to your nerves. Mana Foliage offers amenities which you can enjoy at the comfort of your environ, some of them are Banquet Hall, Tennis Court, Table Tennis, Badminton Court, CCTV and more. MANA has fine-tuned the art of 'Imagineering'- a blend of imagination and engineering-to build spaces that exceed the expectations of our customers. MANA’s attention to detail, and innovation has ensured that it is able to deliver on time with a quality that sets Mana apart from the rest. The Mana Foliage one of the plotted development of the builder is in Off Sarjapur Road is pelted with plots of various dimensions. The Mana Gokul one of the Pre – Launch by the builder is tucked up with 3,4 BHK Villas built in a serenity of Hosur Road. The Mana Corona one of the under-construction projects of the builder located in Off Sarjapur Road planned with 2, 3 BHK Apartment. Mana Constructions is a very well-known Real Estate company which laid its foundation with a zeal of providing good quality homes to all their customers. The firm has an ability of ramping up large pool of labor and equipment’s to handle large building assignments at short notice. The success and eminence of Mana Projects began as my dream but has now been transformed into the dreams of many. And every day, we strive to make not just our dreams come true but also the dreams of every person looking to buy a home. To be recognized as premier construction company, delivering value to our customers, shareholders and associates with unwavering commitment to quality, creativity and passion. In line with our vision, we aim to build on our core strengths of quality, creativity and passion by Imagineering dream spaces that makes our customers, shareholders and associates proud to be a part of Mana. We trust, good sense and prudent judgement never fails to recognize the finest.